While many articles deal with misconceptions that persist regarding roofing contractors, the industry or materials, one of the biggest misconceptions relates to the weather. I will try to shed light on some of the most common misconceptions I have heard. In reality, during the rainy season, you see the results of the destruction that occurs during the summer. Most roofing systems consist of asphalt – saturated material and ultraviolet rays of the sun destroy the waterproofing components of asphalt, leaving your roofing system without its waterproofing capabilities. This is true even for tile roofs because their main waterproofing component is an asphalt – saturated underlayment. We live in a region where the temperature variations between day and night are exacerbated during the summer months. These variations lead to expansion and contraction of roof systems. Once your roof has lost its flexibility, or if it was not designed to have great flexibility, to begin with, splits and cracks will start to occur. By the time winter arrives, you will start to experience the results of this summer destruction. 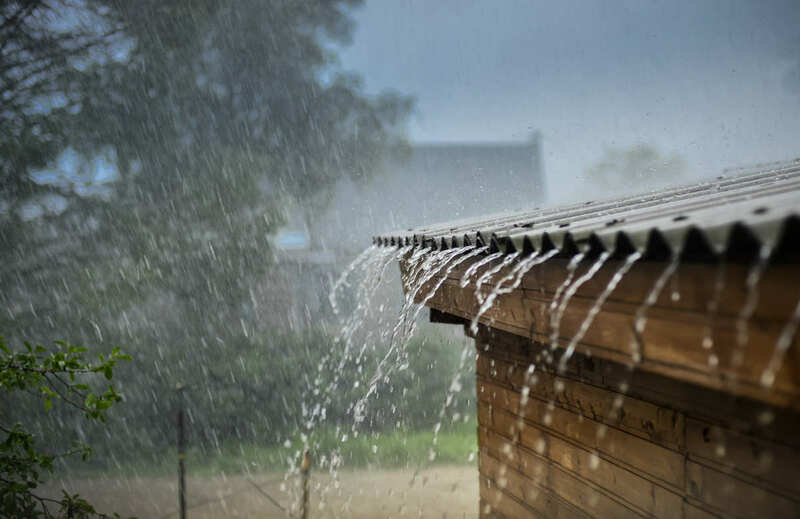 Emergency leak repairs, interior damage, and long-term structural damage are all well-known to us and are associated with that dreadful feeling we get when we hear the raindrops falling on our roofs. Most of these problems can be eliminated if you do an annual roof inspection in April or May and correct the damage during the summer or fall. A good roofing contractor should be able to point out the existing and potential problems within your roofing system, so corrective measures can be taken. This is another misconception. The really busy roofing season starts in June and goes into November. That is when the well-thought-out and well-organized roofing projects take place. During the rainy season, we are busy taking care of homeowners associations that for some reason or another got left with leaking roofs. A good roofing contractor is always busy. A well-organized roofing contractor is always busy but has time to take care of his customers. Removal of existing roofs – particularly on larger and more complicated projects – becomes a crapshoot. The somewhat reliable weather forecast covers only three to five days. All repairs of moisture-saturated roofs become temporary and need a second visit once the roofing system is completely dry. Overlay over existing roofs has a danger of trapping moisture from damp morning fog, and as a result, has a shorter life expectancy. In short, the winter is not the best time to attend to your roofing problems. Plan to have roof repairs performed during the summer months. Or the early fall. I hope this article answers some questions about the relationships between your roofing system, the weather and the seasons of the year. But more importantly it should provide some helpful ideas about organizing your roofing projects, so you are not spending a fortune for questionable winter repairs and finding yourself at a financial disadvantage in the summer when most projects should take place.